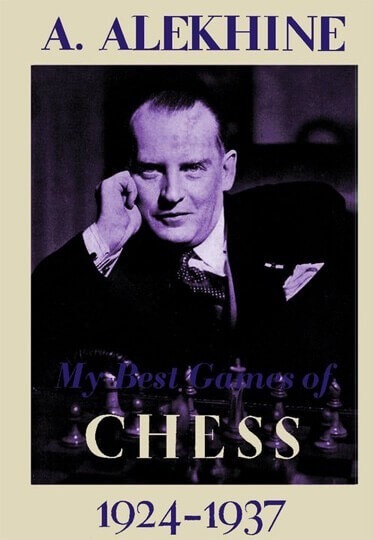 This book covers the period when Alekhine was World Chess Champion, including his match with Capablanca and his two matches with Euwe. Included as an appendix in the back of this book all 120 games in this book, in Algebraic notation, plus all 34 games in his match with Capablanca, all 30 games in his first match with Euwe and all 25 games in his second match with Euwe, all in algebraic notation. Alexander Alexandrovich Alekhine (1892-1946) was not only one of the strongest and most original chess players who ever lived, but he was also the most controversial, second only to Bobby Fischer. World Champion Garry Kasparov wrote, "Alexander Alekine is the first luminary among the others who are still having the greatest influence on me. I like his universality, his approach to the game, his chess ideas. I am sure that the future belongs to Alekhine chess." Bobby Fischer wrote, "He had great imagination. He could see more deeply into a situation than any other player in chess history. It was in the most complicated positions that Alekhine found his grandest concepts."